The Internet has democratized institutions such as information, entertainment and retail. Participatory budgeting has the potential to bring democratization to the local budget process with the potential to narrowly tailor projects to address specific community concerns. Proponents of participatory budgeting promote the benefits derived from increased citizen participation, greater engagement of communities who often feel marginalized in addition to incorporation of projects that may have been overlooked by a traditional budgeting process. Critics maintain that participatory budgeting creates another layer to an already well-prescribed and inclusionary process by adding more reviews and approvals. In addition, participatory budgeting gives a portion of the traditional role of elected officials and returns it back to ordinary citizens. At best, participatory budgeting can only address a small portion of expenditures in an annual budget because of federal mandates, state regulations, local ordinances or contractual obligations. For example, the Buffalo Board of Education conducted an audit of mandated expenses to see where expenses could be trimmed or re-allocated to different programs. The auditors determined at the time 87 percent of our annual budget was mandated by the criteria and the positions that were not such as assistant principals, bus aids, music, sports programs, etc. all enjoyed great support and would be difficult to cut. Participatory budgeting is credited with beginning in Brazil but has spread around the world. Many cities have incorporated some aspect of participatory budgeting, including Buffalo. For the City of Buffalo, it is a four step process: brainstorm ideas, develop proposals, vote and fund the winning projects. The brainstorming sessions are gatherings of community members, both at meetings and online, to come up with ideas to address a various local community needs. As part of this initial step, neighborhoods also select budget delegates. The second step is to give flesh to the ideas in the form of actual proposals. The community need might be to reduce the amount of trash at a particular street corner, park improvements or senior programing. The proposal might be to install a spin bin or receptacles to accept the waste. The next step is to have the community vote on the various proposals that have been submitted for consideration. The final and arguably the most important step in the process is the funding of the various projects. Without funding, it remains only a proposal. Quality food, neighborhood cleanliness, parks, seniors, safety and protection from the weather on a wintry day are types of concerns that are universal in urban neighborhoods. Participatory budgeting helps to refine the process by assigning priority, specifying location and number. While a more traditional budget process may have addressed these concerns, the participatory method ensures they reflect the concerns of the participants. Participatory budgeting is by no means a panacea for urban governance. Once the Buffalo School Board tried a pilot project where a small group of local schools were enabled to decide how to spend a small portion of their respective operational budgets for the year. The thought was that people in the building would know best how to spend the money on programs that would give the best results. The hope was that each school would develop site based specific plans that reflected the needs and aspiration of the students, teachers, parents and administrators. The result was this: schools cut music teachers and replaced them with additional math and English teachers which lead to protests on the steps of City Hall. The passion for music programs was coupled with reminders about the link between participation in music programs and higher achievement. When asked as to why the schools cut the music program, the answer was simple: “We aren’t graded on music. We are graded on how well our student do in English and math.” The school board had hoped this new process would result in individualized school programs hopefully resulting in higher achievement. The principals were more direct. More math and and English teachers directly equate to higher test scores. Participatory budgeting offers communities the opportunity to better engage citizens in the budgetary process. 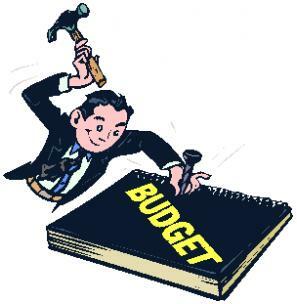 During the normal budget process, most government bodies have provisions with respect to public hearings and notifications. Participatory budgeting allows citizens, on a limited basis, to develop and prioritize projects that directly benefit their neighborhoods. Local elected officials must be willing to embrace this new process and adjust the traditional budgeting process accordingly. Participatory budgeting produces an end product that both creates greater community buy-in and directly addresses community specific needs. Author: Lou Petrucci has a MPA from Hilbert College and presently works for the City of Buffalo on housing related matters. He also formerly served as president of the Buffalo Board of Education, executive director of the Big 5 School districts and a member of the executive board of the Council of Great City Schools. The population of the Masten District is around 32,000 people. 300 persons participated in the participatory budget process. Sounds to me more like a special interest budget process than a participatory budget process.